These flowers are very mystical and magical looking as they grow into tiny bells and also give bright color to gardens. What delicate bloomers. These are beautiful. Great sized bulbs and bloomed out beautifully!!!! i will be ordering more very soon! Was pleased with my bulbs. Not tiny like I've ordered from other nurseries. My bluebells were so beautiful i picked them for a bouquet and placed on my table. They were too pretty to leave outdoors. I love them so much! Virginia Bluebells are Native to Eastern North America and are often found in Rich Moist Woodland areas all over the Eastern United States. Bluebells or Virginia Bluebells as they are most commonly called, are easily grown in Average Soil as long as it’s Well-Drained. They begin to Bloom from March to April, and they Bloom a slightly Pinkish color before they Mature and turn that Beautiful Blue color that we have come to know whenever we hear Bluebell. The gorgeous blooms on this perennial are in the shape of beautiful bells as they hang on the stems. This is a great plant and is very popular among homeowners for planting in gardens and natural areas as they are very easy to grow and maintain. 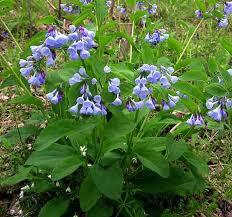 Virginia Bluebells does not thrive in soils which are too wet. This plant is unique when grown as it has a cluster of beautiful oblong green leaves which the long stems from the flowers grow from the center. The stems of this plant appear to be a lime green as they mature. They look great when planted with other perennials that offer lots of colors and brings lovely curb appeal when everything is in bloom during the spring and summer. The flowers bring a lot of color and life to all gardens and natural areas where they are planted and look lovely when used to create a beautiful border.The Virginia Blue Bells is one of the prettiest flowers you can have in a garden. It is a perennial flower and is native to America. When the flowers start developing, they are pink in color. However, when they mature they turn into a darker rich hue which is light blue-purple. They will blossom during spring and continue to bloom until summer. Therefore, you should ensure that you plant them in well-drained soils. 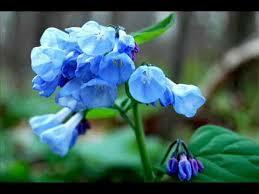 Virginia Bluebells will grow to a height of 17 to 25 inches.